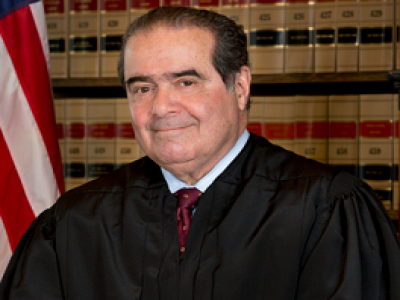 The unexpected demise of Supreme Court Justice Antonin Scalia has thrown the political world into turmoil. Predictably there will be a fierce fight over his successor, not the least of which is over whether even to permit President Obama to make the selection. Republicans vow to prevent a confirmation hearing or to slow walk it until time runs out. Democrats will have a heyday over this, especially if the nominee is from one of their treasured minority communities. I wonder if there is a qualified transgender Latina available? In the meantime, the Court must proceed with its business with only eight members. A tie vote leaves lower court rulings in effect, even in the case where two jurisdictions reached different conclusions about constitutionality. Where interstate commerce is involved, this is chaos. Neither party will like some of the consequences. Take the case of Friedrichs v. California Teachers Association for example. This case challenges a four-decade old ruling that upheld the practice of forcing government workers to pay the union’s costs for collective bargaining even if they are not union members. This is considered a vital revenue source by the unions, and all of the evidence had pointed to this policy being overruled. Democrats will rejoice at a 4-4 deadlock that leaves the precedent intact. Or there is Whole Woman’s Health v. Cole. This case challenges a Texas law that highly restricts the availability of abortion. The Fifth Circuit Court of Appeals upheld the law but its prospects in the Supreme Court appeared chancy at best. Republicans will applaud a 4-4 deadlock, particularly since an adverse ruling would have affected other such efforts across the country. One aspect of this situation exposes a common misconception. You may hear arguments bandied about of the importance of maintaining a full Court, meaning one with nine justices. But there is nothing sacrosanct about that number. The Constitution left it to Congress to decide how many justices should make up the court and the number has fluctuated over the years. Initially, in the Judiciary Act of 1789, the number was set at six. In 1807 it was increased to seven and in 1863 it rose to 10. Eventually in 1869, Congress stopped meddling and set the roster at nine where it has remained ever since. Note that the Court has not always had an odd number of justices to make tied votes less likely. An eight member court is not an anomaly. And by the way, there are no mandated qualifications for becoming a Supreme Court Justice. Custom has set some informal rules, like having a legal background, but even this has been violated on occasion. Thus there is no impediment, other than Senate confirmation, to nominating a non-citizen, a felon or a middle-school child. There is a pool of over 7 billion qualified candidates.